BRUSSELS (AP) — The European Union on Thursday came up with another 24.4 million euros ($31 million) to fight Ebola, as the bloc’s leaders pressed to create a 1 billion-euro ($1.26 billion) fund to fight the deadly virus. British Prime Minister David Cameron set that target last week and prior to Thursday’s start of a two-day EU leaders’ summit, the bloc’s total anti-Ebola commitments were over halfway to that goal. Britain says it has committed 125 million pounds ($200 million) toward fighting Ebola, more than any other EU nation. EU Commission President Jose Manuel Barroso said the money promised Thursday would go for medical research on an Ebola vaccine. 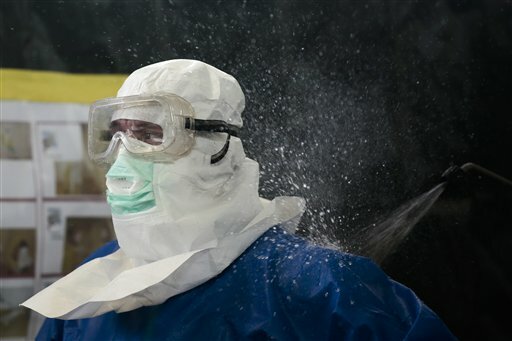 In Geneva, the World Health Organization said the Ebola outbreak in West Africa, which has killed over 4,800 people, is still an international health emergency. WHO experts said international travelers from the three hardest-hit nations — Guinea, Sierra Leone and Liberia — should still be screened for possible Ebola symptoms to prevent the disease from spreading further. But they said there should be no general ban on travel and trade with those countries.